We recommend the Enema Bucket that is 2 L in size, latex-free and made of stainless steel for the best coffee enema results! The bucket has an opening at the top and is easy to clean in comparison to enema bags. Silicone tubing and rectal and vaginal tips are included. The liver needs to function properly to reduce the amount of free radicals in the body. 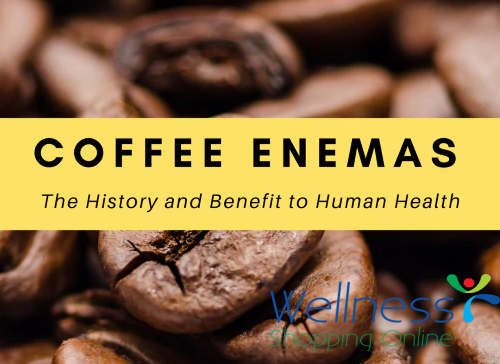 This is why coffee enemas have to be taken daily if you are on a nutritional balancing program. They also improve digestion and help the body get rid of toxins. You don't have to leave the comfort of your home to do a coffee enema! Consider purchasing the Basic Enema Kit or Enema Fix 2 Quart Medical Grade Kit as a less pricey option if you are not latex sensitive. They include enema bags instead of the bucket and allow you to keep detoxifying on the road when you are traveling.